30 years on from that mythical first descent of the Mallory by Anselme Baud, Daniel Chauchefoin and Yves Détry (22.05.1977) a lot has changed in this “sport”. 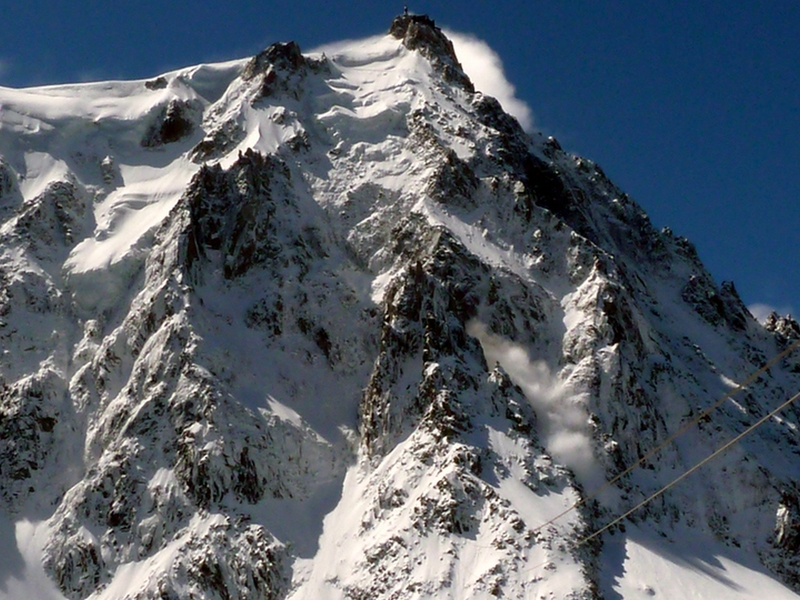 Considered the access door into extreme skiing for every young Chamoniard and others alike, it is very easily accessible (thanks to the Aiguille du Midi cable car) thus allowing it to be skied by many good skiers who may not necessarily have extensive mountaineering skills. 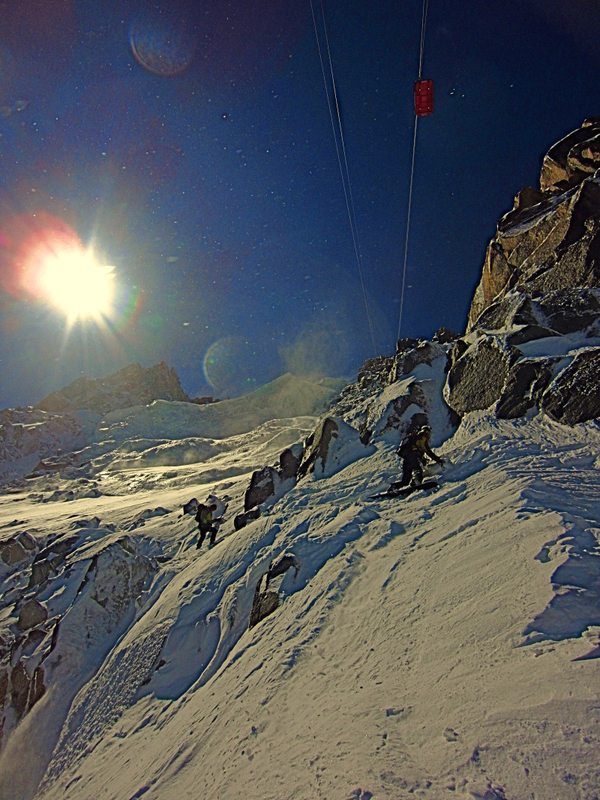 Every year at around this time it feels like we are part of a family in the first bin, the family being a bunch of irreducible skiers that search the Aiguille du midi sessions for the ultimate run of the season. 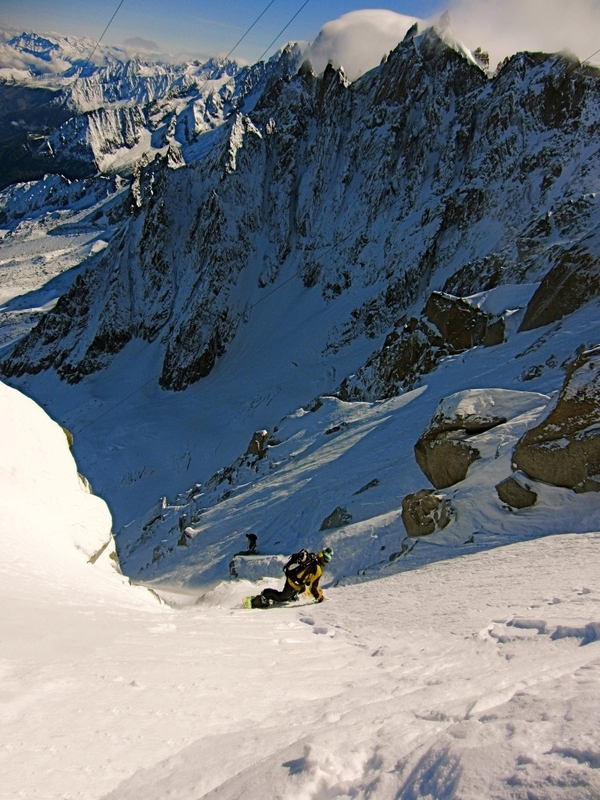 Last year, 21 people skied the Eugster Couloir on the same day, transforming the top of the north face into a mogul field. 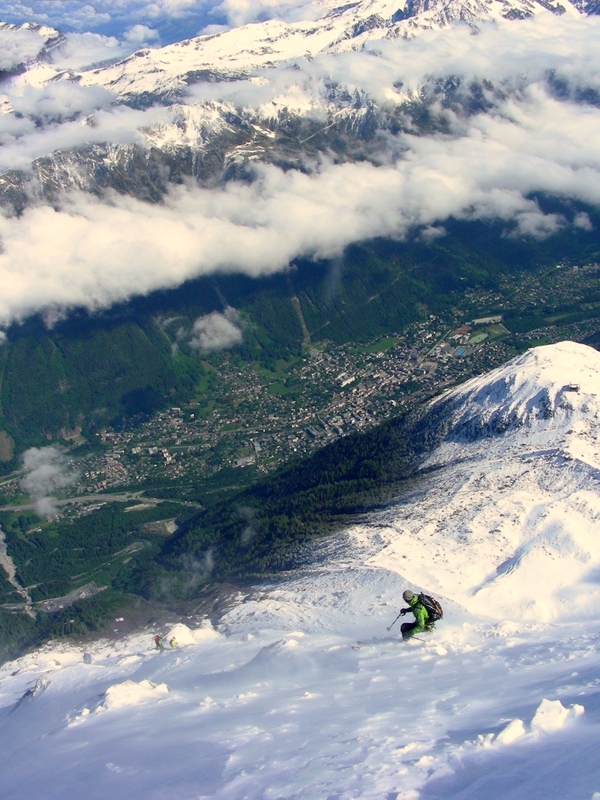 This year, the 16th of May saw 17 skiers in the first bin heading up the Midì…and all 17 skiing the Mallory the very same day. 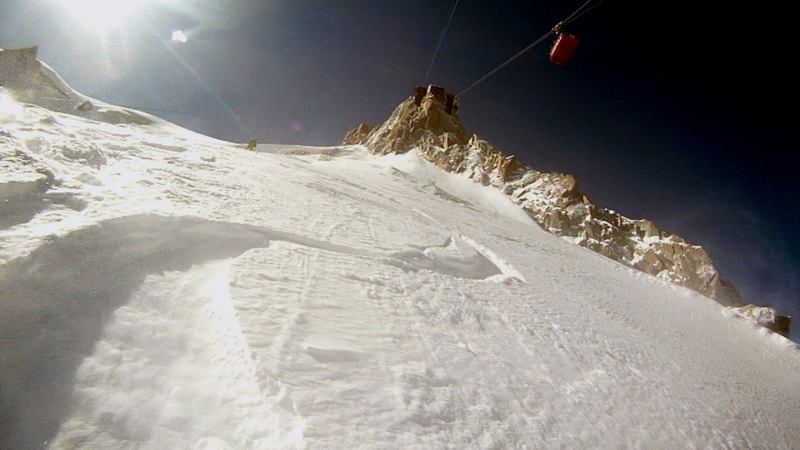 The last storm in Chamonix brought us 40-50cm of fresh snow restoring the mountains with a wintery look. The feeling I had that day was pretty weird; after waiting as usual for the delayed opening, due to the fact they had to clean the top station and the exit cave, I found myself staring at the top of the north face. It was pretty windy and I stayed alone with my thoughts awhile, silently trying to catch some signs and listen to my feelings. 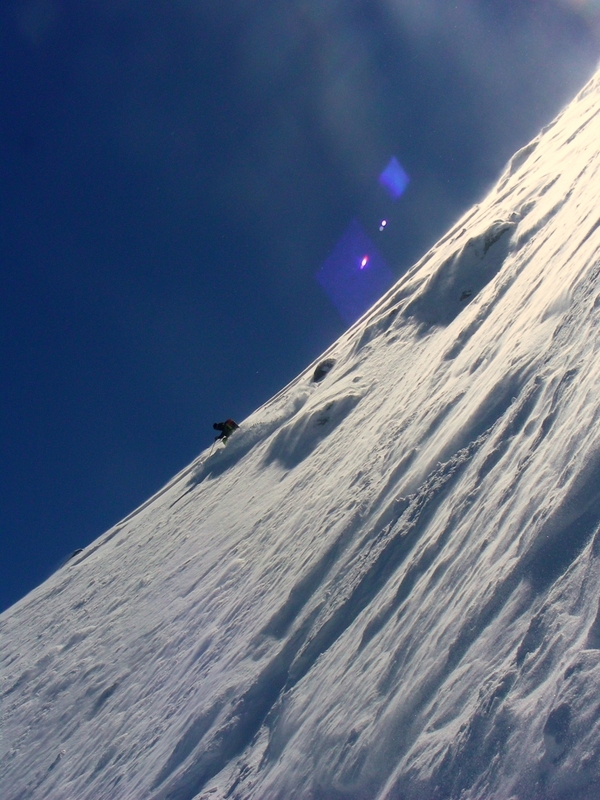 When you climb a line you are completely absorbed by the element in which you are moving and have the time to converse with it, listen to it and be humble…When you are dropped at 3800m at the top of one of the best steep skiing playgrounds in the world with 16 other skiers going for the same line it might not come as a surprise that you happen to neglect a few signs. 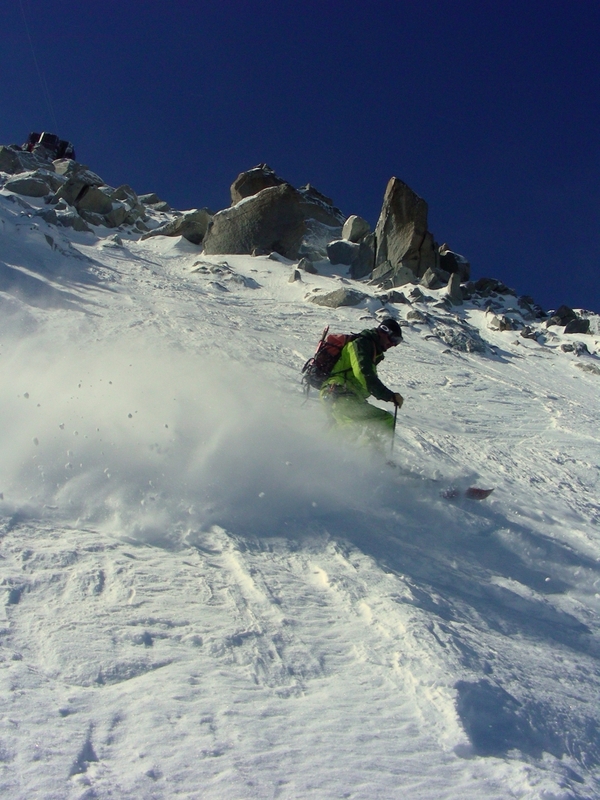 Just enough time to ride fast with some faceshots, traverse under the serac and link a few turns when I see lower down the second skier of the first group setting off a big slab. 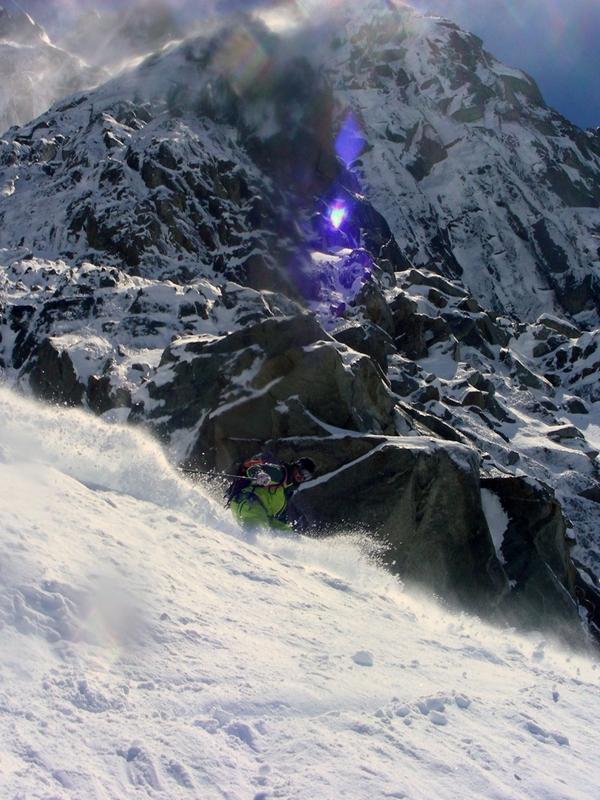 The slab runs down a few meters away from his friend before disappearing into the big drop of 1000m and off the face. After waiting a few times to try and not sluff the parties in front of us we arrived at the demilune. 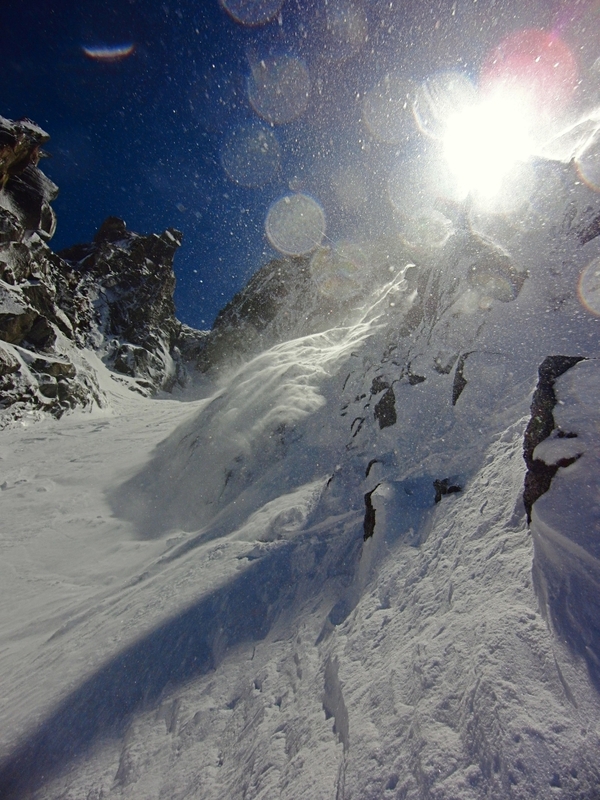 The snow into the steep couloir was pretty hard, I put only few jump turns before and after a sketchy rocky step passage. 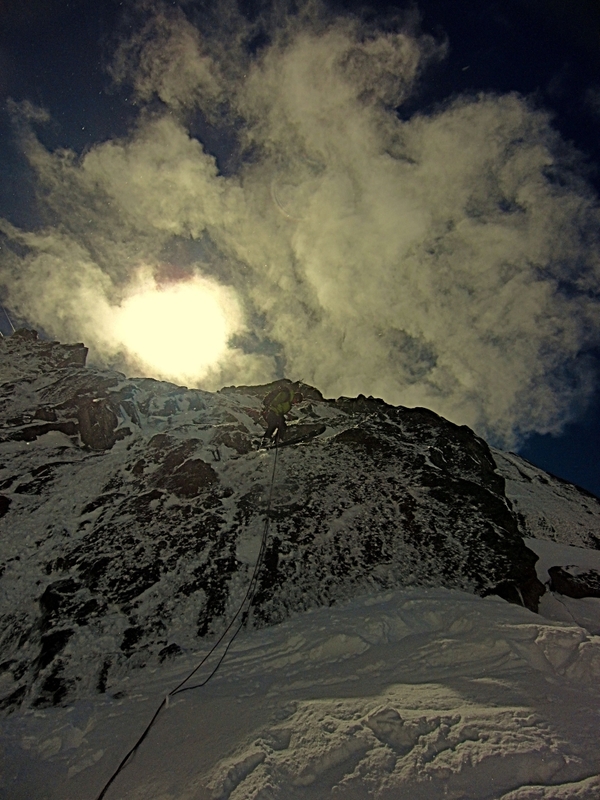 The lower part of the couloir was icy and un-skiable. 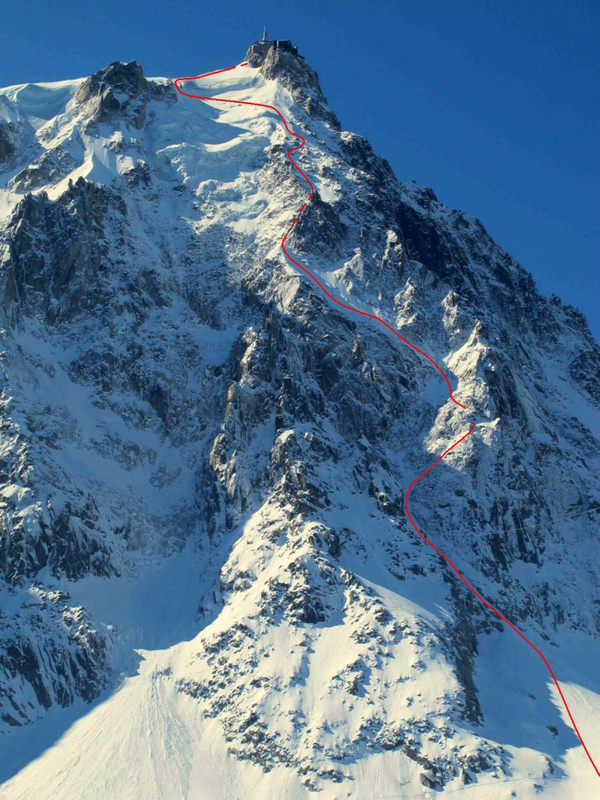 We were forced to set off a rappel of 35 meters in order to pass the gully and the rocky step above the very exposed traverse that lead us to the pan de rideau. The problem in skiing this line with so many people above and for the people below us is the risk of being swept away by the sluff. Just at the end of the rappel I was engulfed by a huge sluff coming down the gully like a waterfall; if I was not on the rope I definitely would have been taken away. 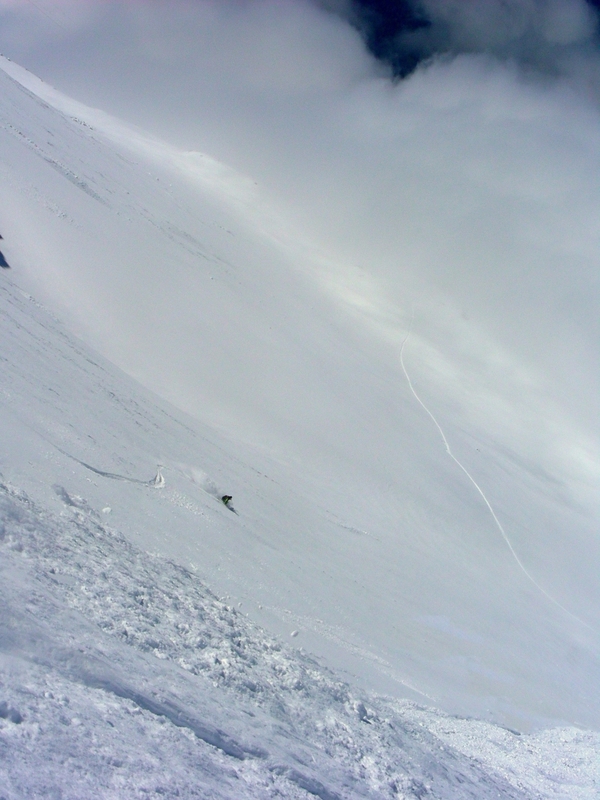 The previous guys had skied on the left, close to the rocks but the right ridge looked more appealing. 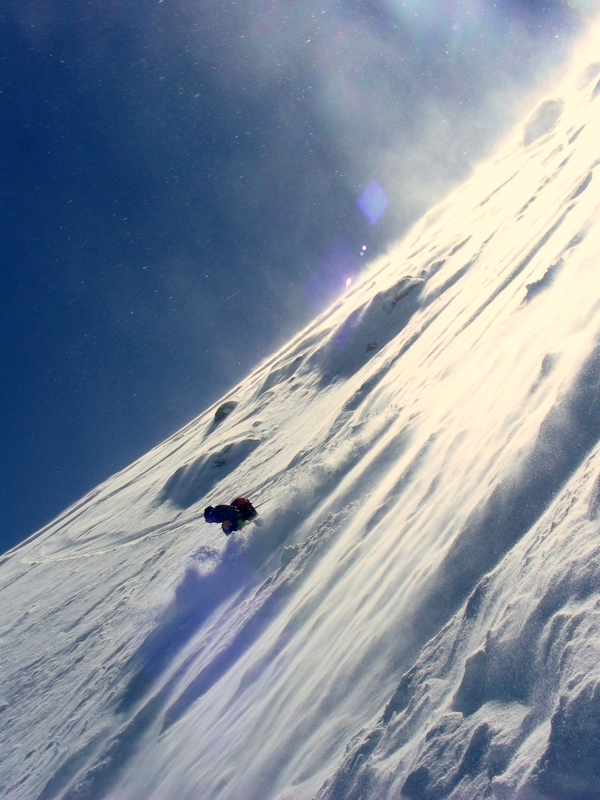 I started to put in a few turns enjoying the great snow, then seeing few rocks in front of me, I put the board straight accelerating a bit and then at the next backside turn, whilst trying to cut back into the face, I felt no more control. I had just the time to see a big crack in front and around me and immediately I felt like I was being swept away by this strong river of snow. I quickly entered the panic zone realising that just a few meters below there was a 200m drop and I couldn’t halt my speed. I tried to move left to escape the slide but I was blocked by the snow pushing my board down. Fighting as strong as I could I was acutely aware that my time had come. Just as I started to accept this notion, something happened…I don’t know how to explain it, but it was certainly a touch of fate steering me to an alternative ending. 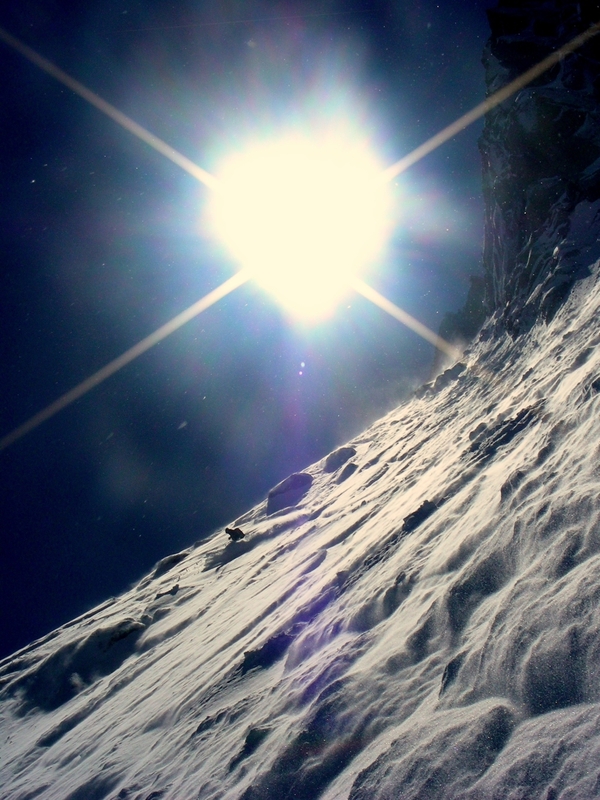 I suddenly found myself tomahawking and at that moment I had the perception of some friction so on the second tomahawk I tried harder to grab, hook, push…and…I stopped…seeing the big mass of snow dropping into the void 20 meters below me. Everything moved so fast that I barely realised what had just happened…actually I don’t know if I was more shocked about the slide or about the fact I had stopped. 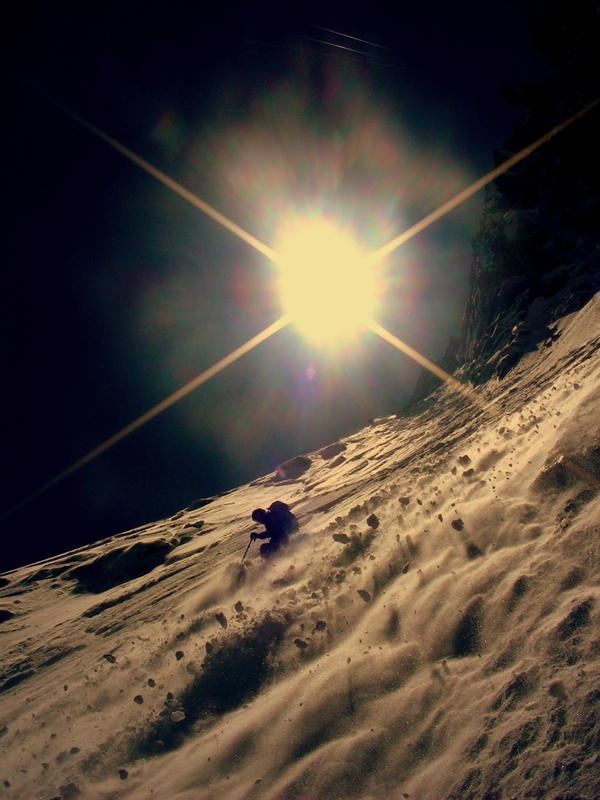 The second crux was still waiting for us and I tried quickly to refocus on the descent. Another surprise was waiting for us. Before the last snowfall it rained pretty high so on the steep and exposed traverse we found an icy rain crust that forced us to sideslip for about thirty meters before setting up a rappel of sixty meters. 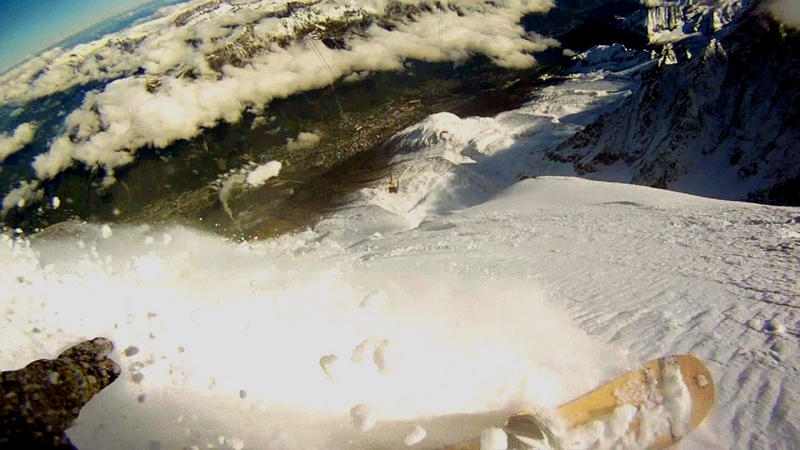 With the tension released we skied it in great snow with big turns and sluff all around. We sat and enjoyed our thoroughly deserved beer and watched the others parties coming out from this nasty line. 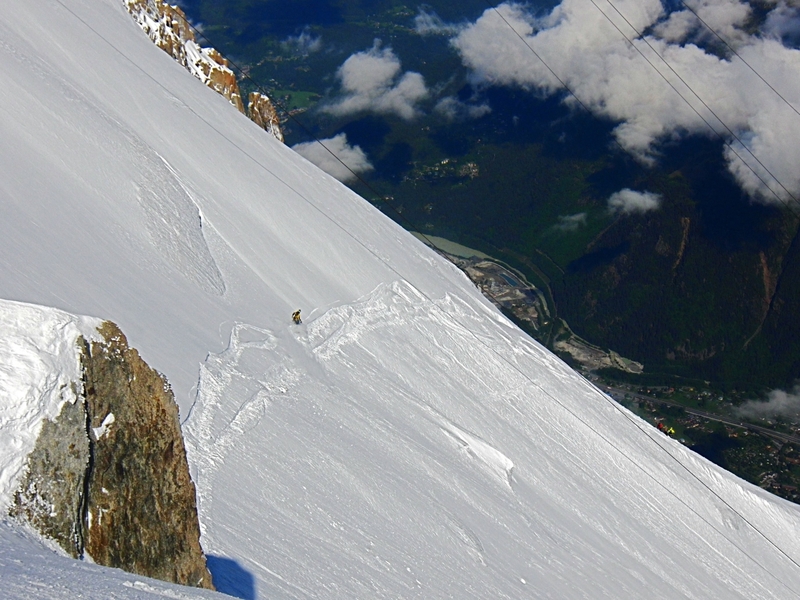 Articolo successivo Next post: Gran Paradiso – North Face 19.06.2011 – BUT! Heureux que tu ais pu te sortir de l’avalanche en haut de l’écharpe du Mallory et garder ton sang froid pour le reste de la descente ! Bravo aussi pour le Viso, une ligne superbe et l’un des plus beaux reportages de l’année pour les amateurs de ski et surf de pente raide. Textes et photos de grande qualité. Bravo pour toutes ces descentes ca fait rever! pour le mallory on aimerait bien savoir comment ca c’est passé, tu n’as pas un petit texte?